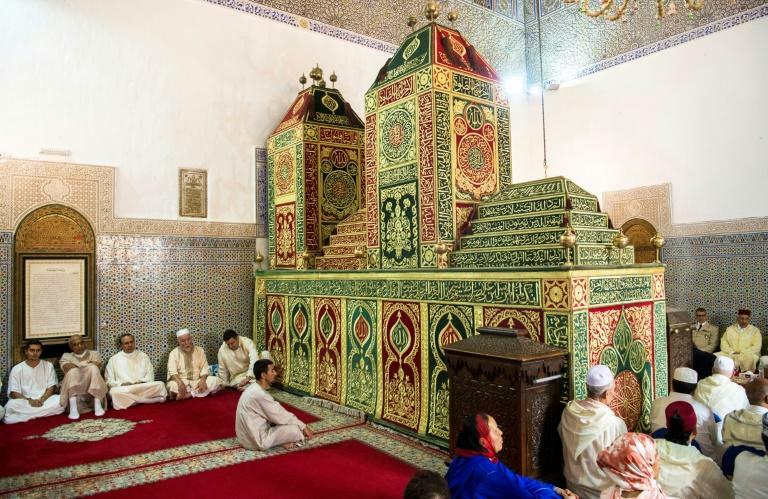 It's dubbed the "pilgrimage of the poor" -- every summer, tens of thousands of people flood this small central Moroccan town to honour a Sufi saint buried here 12 centuries ago. Moulay Driss Zerhoun, nestled between two hills covered in olive groves, is where Idriss I, a descendant of the Prophet Mohammed who founded Morocco's first Islamic dynasty, was laid to rest in the late eighth century. In the main square, pilgrims grouped in "brotherhoods" from a host of countries walk in a procession to mark the start of the "moussem" (season), an annual homage that lasts for over a month. For many Moroccans it is an alternative to the major Muslim hajj pilgrimage to holy sites in Saudi Arabia. 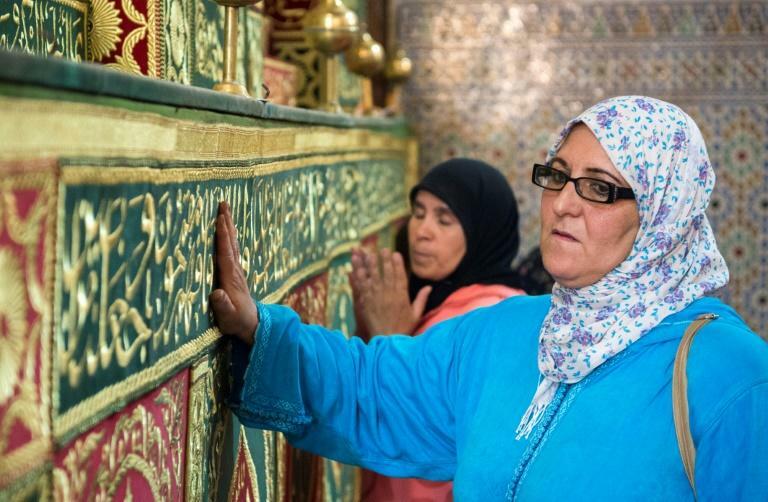 "Those who can't afford to travel to Mecca come here to pray at the grave," says Fatmi Chbihi, who belongs to a town committee made up of descendants of Idriss I. The faithful walk towards the green-tiled sanctuary, reciting Koranic verses with hand on heart. Posters advertising the event are plastered across the town, while whitewashed buildings house modest shops selling candles as offerings to the saint. Hailing from Sale, a town near Rabat and about three hours away by car, a pilgrim wearing a red fez who gave his name only as Zakaria said he has been coming for 16 years. "I wouldn't miss it for the world," Zakaria, who is in his 40s, told AFP, adding that the pilgrimage gives him a "sense of spiritual renewal". Sufism, a mystical strand of Islam with hundreds of millions of followers, breaks with Salafism, Wahhabism and other austere interpretations of Sunni Islam that view the reverence of saints as heresy. It advocates inner transformation, encouraging self-knowledge as a path to the understanding of others and God. 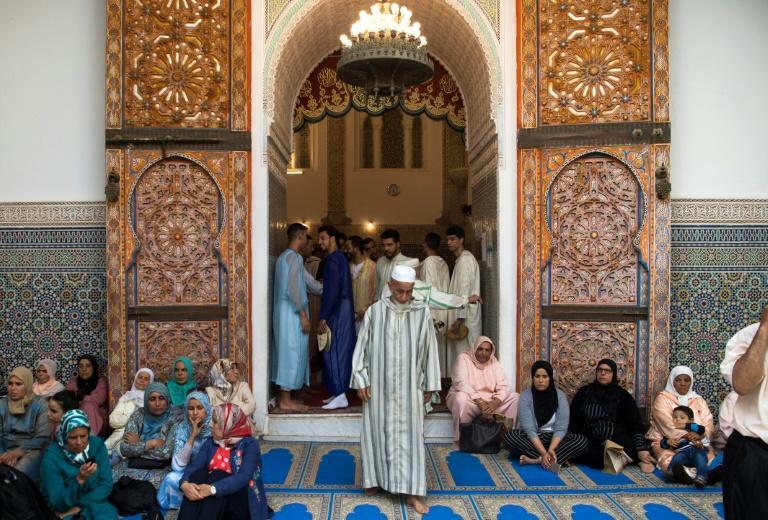 Sufism is especially popular in Morocco, which sees itself as protecting an "Islam of the middle ground". "The Islam practised in Morocco is... open and free of all fundamentalism," said Chbihi, dressed in an immaculate white robe. "The brothers play a significant role in promoting this moderate Islam," he added. A picture of King Mohammed VI hangs at the entrance in front of a white arch of Moorish-Arab inspiration. Morocco's monarch -- the "commander of the believers" -- paid pilgrimage here after he was enthroned, as did his father Hassan II. A sign reminds people that the site is forbidden to non-Muslims, like all of Morocco's mosques and religious sanctuaries. Worshippers pass beneath a wooden beam that serves as a barrier and crowd in front of the tomb. A marble commemorative plaque details the history of the mausoleum as far back as the 18th century. Koranic inscriptions adorn the ceramic walls, while a giant copper chandelier hangs over the tomb. Pilgrims kiss or place a hand on the gilded silk fabric covering the tomb when they seek the saint's blessing. As night falls, the brotherhoods of pilgrims meet in private homes, taking part in ceremonies full of mystical songs and divine pleas. Dwarfing the town's population of 12,000, the annual wave of pilgrims "reinvigorates the local economy", says guesthouse owner Zakia El Hanaoui. But much more than that, the festivities mirror a "serenity that reigns in the town", helping to develop a "spiritual tourism", he adds.